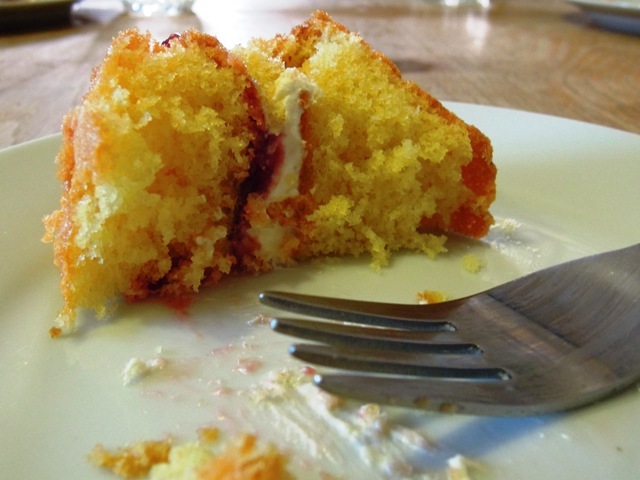 I do love a victoria sponge and your cake looks gorgeous. The tips were great. I never thought about the temperature of the bowl before, although I never keep my eggs in the fridge, so they are always the right temp. Great post! Thanks Jac. When I’m properly grown up, I want a larder so I won’t have to keep the eggs in the fridge! I have to confess I too never follow a recipe either, rarely even sift the flour nor get everything warm or at room temperature. But then I don’t make traditional sponges, I’m more of a chuck-it-all-in traybake kinda gal, happily switching quantities and ingredients and rarely have a disaster. Fine baking it is not!. 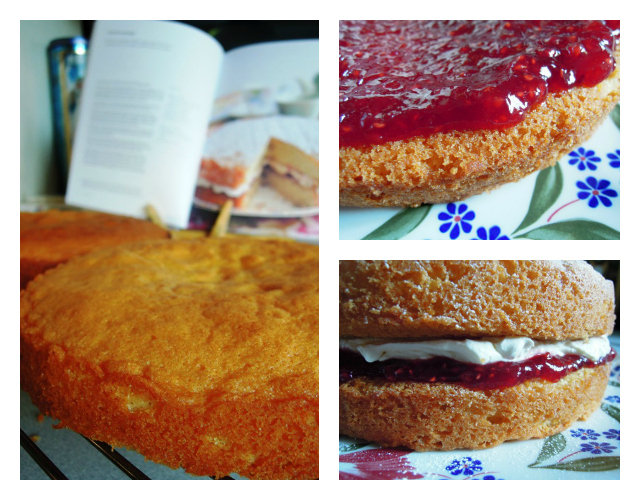 But reading your post and looking at your pictures, I’m sincerely tempted to bake a trad Victoria Sponge this week-end with the kids (rather than the experimental Sweet Potato Brownies I had planned! ), I know they’d love it. Or even both!. Fab post Vanesther. A perfect Weekend Slowie recipe for Family Foodies! Oh do both if you can – I love the sound of your sweet potato brownies! Thanks so much Nikki! Let’s hope I can repeat it! I like the ‘always read the recipe’ tip – that’s one I definitely need to remember more often! Your sponge cake looks perfect. The other entrants won’t stand a chance if you decide to enter the cake baking competition! Gosh this makes me miss home! 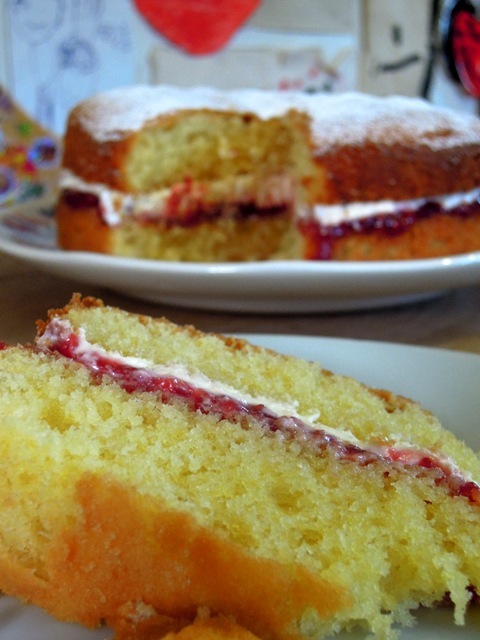 You just can’t beat a well made Victoria Sponge! You’re so right, careful preparation makes all the difference in baking! This looks absolutely amazing. 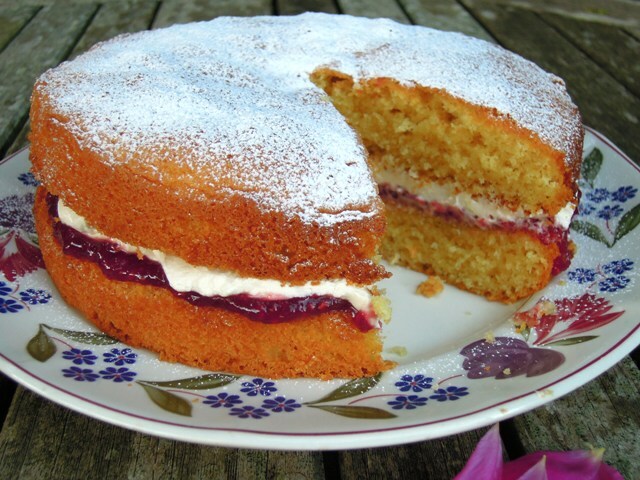 I really miss Victoria sponge cakes here in Greece. I’ll just have to give this a go myself! Thanks for sharing. your sponges look amazing! I keep promising that I will sift my flour one day, and looking at your results I may even do it the next time I make a cake! Oh you must follow a recipe, its a cardinal sin! ha If you dont you really do run the risk of ruining a perfectly made cake!